Android mobile phones will take around 85 per cent share of the global market in 2018 as volumes are expected to grow at a five-year Compound Annual Growth Rate (CAGR) of 2.4 per cent, with shipments approaching 1.41 billion in 2022, an IDC report said on Thursday. Apple is expected to grow by 2.1 per cent in 2018 and iPhones would grow at a five-year CAGR of two per cent, thus, reaching volumes of 238.5 million by 2022, said the market research firm IDC. The firm expects Android ASPs to grow 11.4 per cent in 2018 to $262, up from $235 in 2017. The upward trajectory would continue through the forecast, but at a more tempered low single-digit rate from 2019 and beyond. 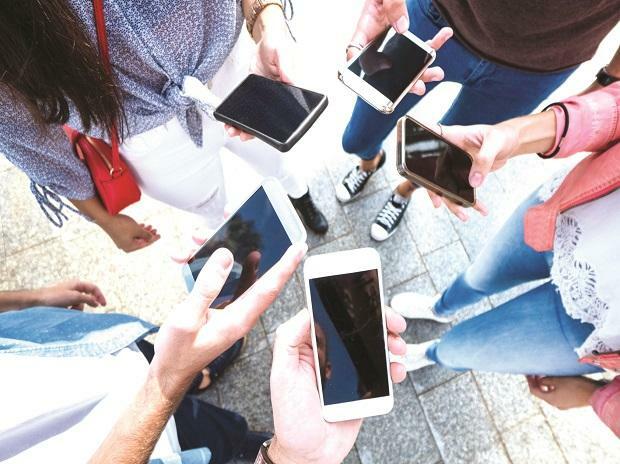 IDC expects smartphone shipments to decline 0.7 per cent in 2018 to 1.455 billion units, down from 1.465 billion in 2017. The market, however, will return to positive growth in the second half of 2018 with volumes up 1.1 per cent compared to the second half of 2017, said the IDC.